A day after the state of Florida filed the expected lawsuit against the Seminole Tribe on Friday, the tribe continued to deal cards at its Hard Rock casinos in Tampa and Hollywood as it became clear that both sides had blown the Oct. 31 negotiations deadline. The state filed a lawsuit in Tampa federal court alleging that the tribe was violating state and federal law by operating the blackjack, chemin de fer and baccarat at five of its seven casinos in Florida at the end of the 90-day grace period given when the 2010 compact with the state expired in July. But the tribe contends that it is entitled to continue playing the games because the state's Division of Parimutuel Wagering has authorized look alike black jack to be played using slot machine software at slots casinos in South Florida. They say that's a direct violation of the Tribe's exclusive right to operate the games in Florida, under the 2010 compact agreement. Although the tribe contends that talks with the state to re-negotiate the table games provision are going well, and agreement with Florida legislators is getting close, it nonetheless filed a lawsuit on Monday in federal court making their claim, and including some boilerplate language about the state not negotiating in good faith. "The Tribe believes its banked card games have been authorized for the reasons stated in the federal lawsuit it filed Monday, and it is seeking court guidance while the games continue, '' said Seminole Tribe spokesperson Gary Bitner in a statement Saturday. Now, short of an agreement being worked out with the tribe, the governor's office and legislators, it is up to a federal court to sort this out and decide whether the state or tribe is at fault. None of this is unexpected. In fact, the Division of Parimutuel Wagering and Gov. Rick Scott's administration expected this in 2012 when it asked the Legislature to clarify what constitutes a slot machine. As we wrote about in 2012, the Department of Business and Professional Regulation asked the Legislature for help in closing one of the loopholes that they feared threatened the provisions of the compact that gave the tribe the exclusive right to operate table games in Florida. 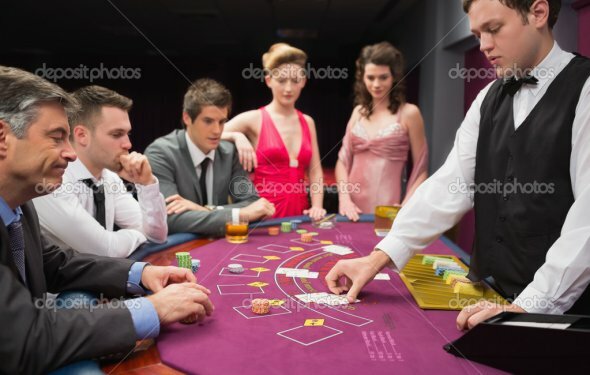 Parimutuels in South Florida had started operating copy-cat games intended to simulate roulette wheels, craps tables, blackjack and other table games using software on existing slot machines. But when the department attempted to impose new rules on what constitutes a slot machine, a state hearing officer said the department did not have the authority to issue the rule. DBPR then turned to the Legislature, asking for a bill to clarify that the department had the authority to decide what constitutes a slot machine, suggesting it would specifically exclude copy-cat games. But the Senate Regulated Industries Committee, whose members were heavily supported by the parimutuel industry, voted 7-3 to kill the bill by Sen. Thad Altman, R-Viera, that would have given the department the authority to issue the rule. The bill would have targeted new games that come in "under the ruse of being defined as a slot machine, " Altman said. What is the hardest part of dealing blackjack. Unappreciative players and co-workers. I love my job and have chosen to make a career of it. I get to play cards all day and meet a ton of different people. One disrespectful comment though from a co-worker or player can be very disheartening. The dealing part of the game becomes repetitive. In the beginning its crazy remembering card placement, counting, shuffle techniques, rules, and policies but after awhile you could do it in your sleep. So all that's left is entertaining your guests. The golden rule really comes in to play here. Just be nice and respectful.